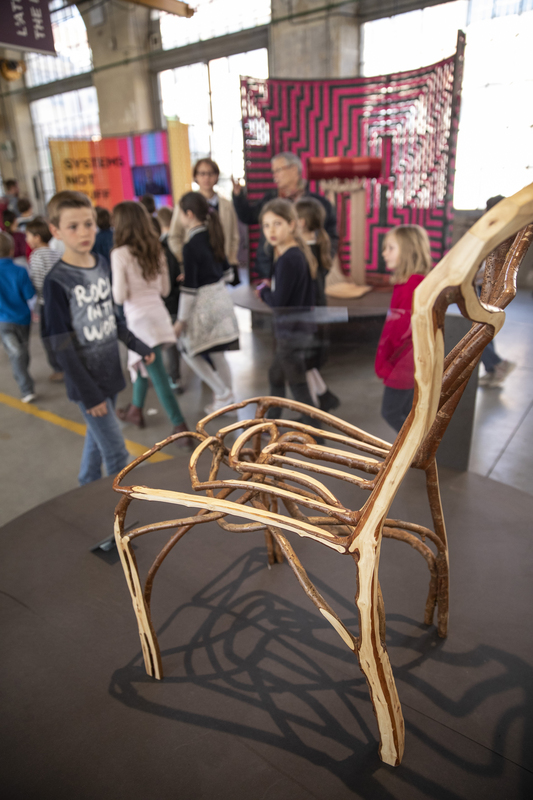 The 11th edition of the Biennale Internationale Design in Saint-Étienne is underway, celebrating the theme Me, You, Nous: Designing Common Ground. 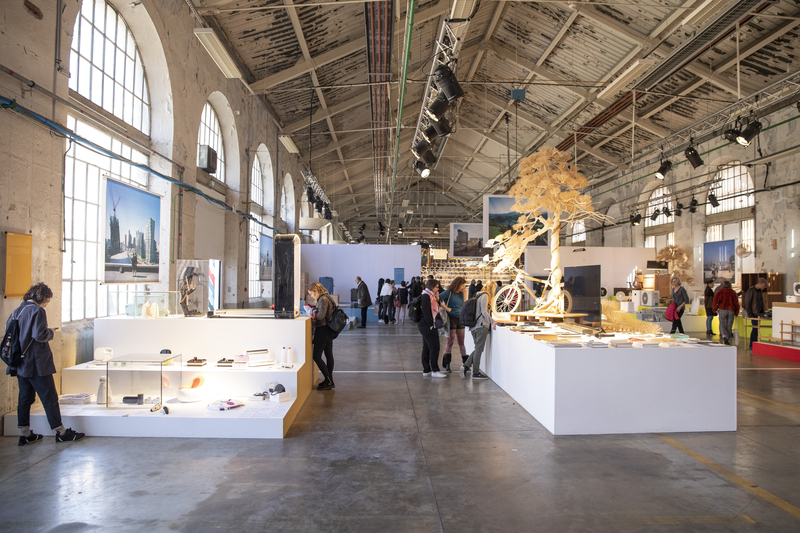 The spectacular high-ceilinged spaces of a 19th-century arms factory, repurposed into the Cité du Design, provides the backdrop to several speculative and though-provoking exhibitions, which will run through April 22, 2019. 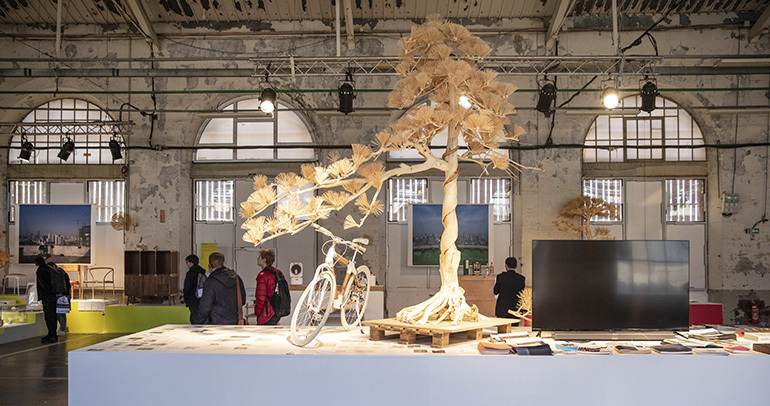 The standout show—“Systems, not Stuff”—was created by this year’s Biennale curator Lisa White and focuses on the need for new systems of making and consuming things, recycling them, or not making them at all. “The future will be about bio-facturing, not manufacturing,” says White. Read on for highlights of the entire exhibition. 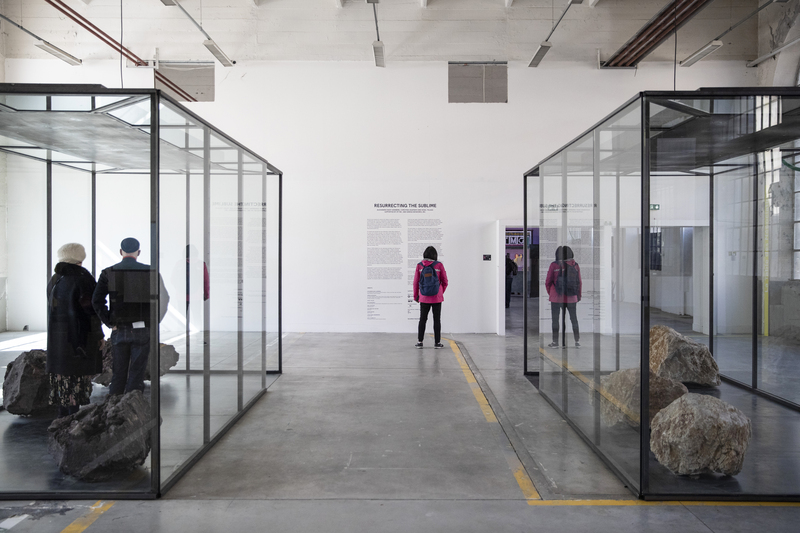 The guest of honor at this year’s Biennale Internationale Design in Saint-Étienne is China, which created three exhibitions dedicated to past, present, and future design. 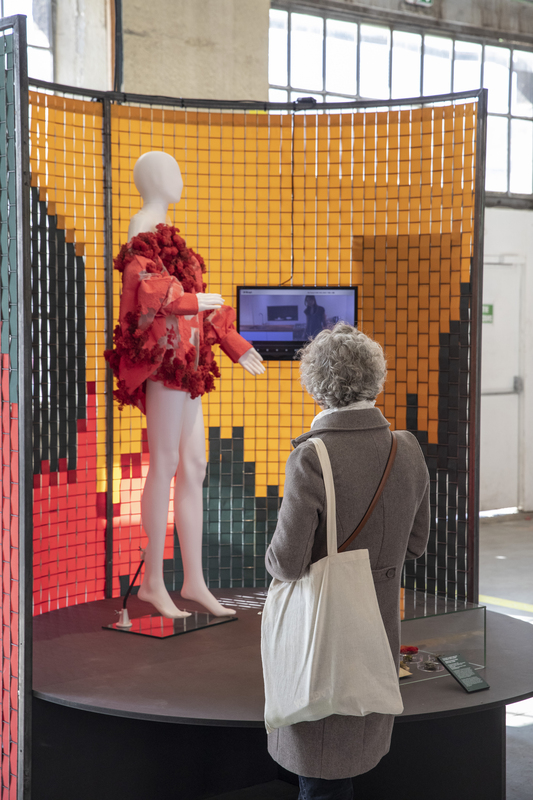 All exhibits in the central show, “Systems, not Stuff” curated by Lisa White, are placed within hemicycle screens woven through with ribbon in designs by Amsterdam-based François Dumas. 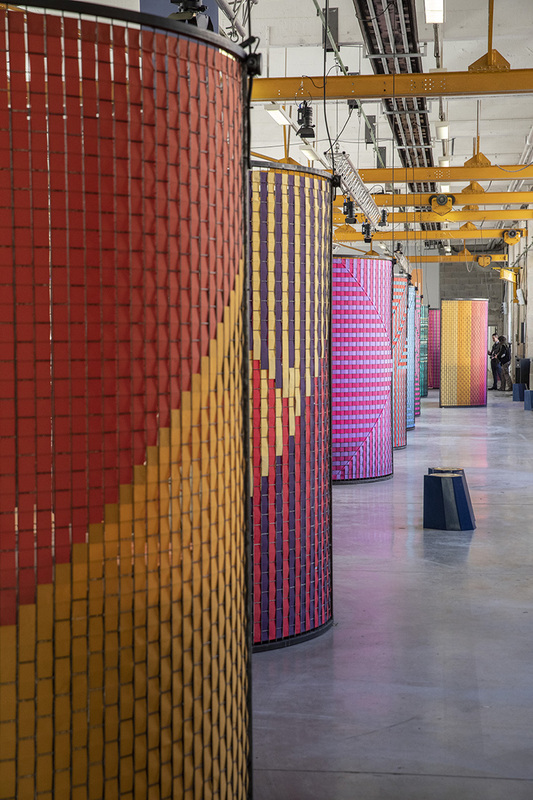 Saint-Étienne was at one time the ribbon-making capital of the world—the ribbon here was manufactured by local and historic manufacturer Neyret, purveyor of ribbons for the likes of Chanel, Dior, and Burberry. Artist and designer Gavin Munro grows chairs in a furniture orchard in Derbyshire, England. Living trees are grafted and woven around a frame and coaxed into the right shape before being harvested and planed. This particular chair took seven years to grow, bringing the idea of slow design to a whole new level. Munro calls the process “a Zen form of 3D-printing.” His company, Full Grown, has a waiting list for chairs up to 2025. 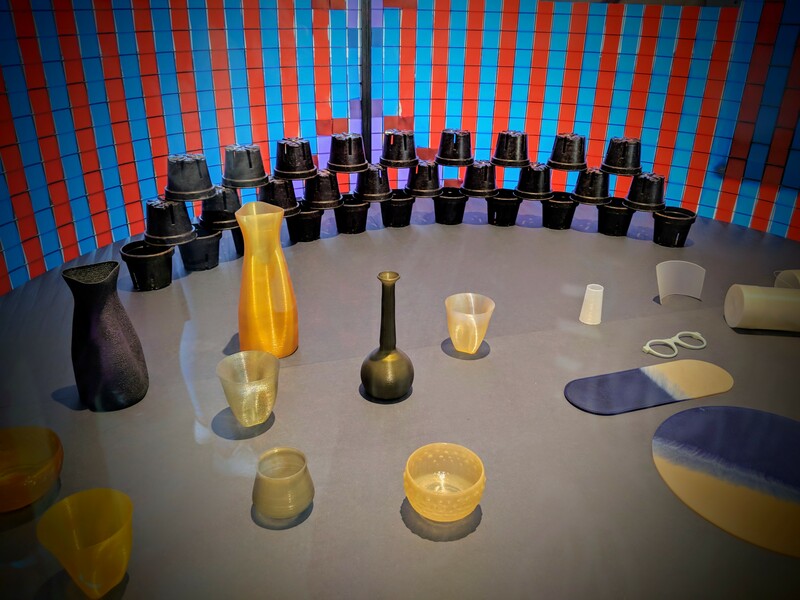 The future is bioplastic: The cups and jugs on the left are 3D-printed out of algae by Bio-laboratory Atelier Luma; the glasses on the right are made out of Nuatan, a blend of two types of corn-starch polymers invented by material scientists Vlasta Kubušová and Miroslav Král in Bratislava. They have a lifespan of 15 years but can be safely composted. The plant pots are by Bioplasmar, where you plant them directly into the earth, they biodegrade and, as they do, fertilize the plants. When “Cindy” lost her legs and some of her fingers after complications from a heart attack, she started hacking everyday objects so she could make use of them. 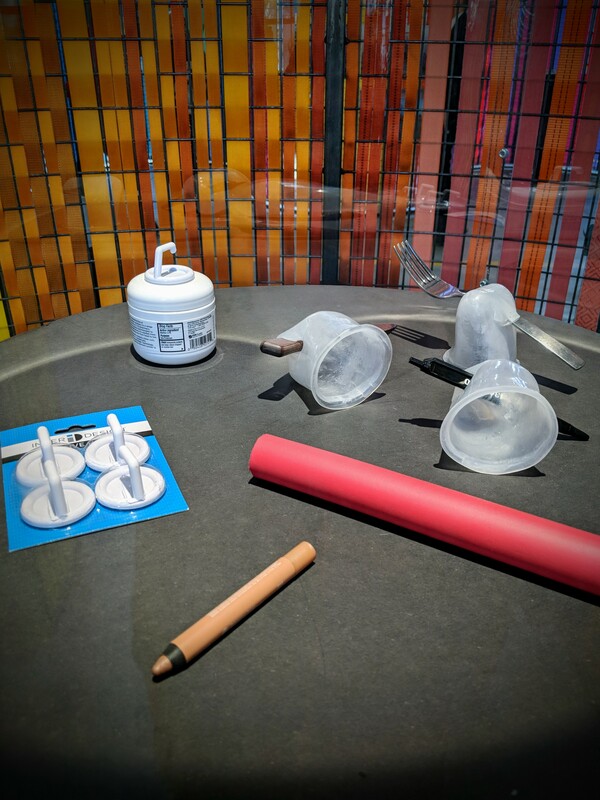 The results are a powerful form of self-made design: Adhesive wall hooks are used to unscrew face cream pots and a silicone mold is used to hold a pen. Olin College students Sara Hendren and Caitrin Lynch started a website called Engineering at Home in her honor to help others adapt objects. This jacket wouldn’t look amiss on a Paris catwalk, but it is actually made out of moss and lichen. Royal College of Art masters student Piero D’Angelo sells kits with seeds, grow beds, and pre-cut clothes on which to grow the moss—like a Chia Pet for the 21st century. 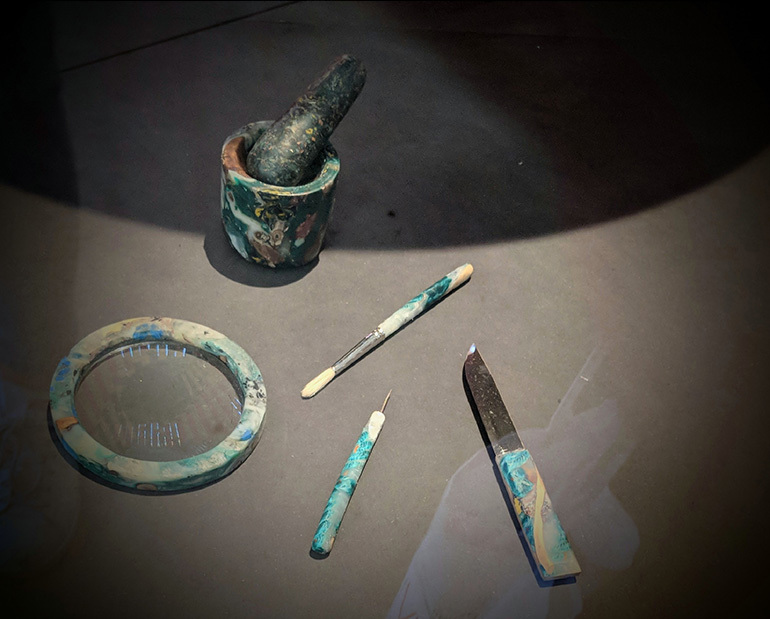 These paints are made out of genetically manipulated bacteria by biotech researchers Pétri Radi Hamidjaja and Colin Ingham of the biotechnology company Hoekmine and Kate Feller and Villads Egede Johansen from the University of Cambridge. They specifically used a strain, flavobacterium, for this project given its iridescence. 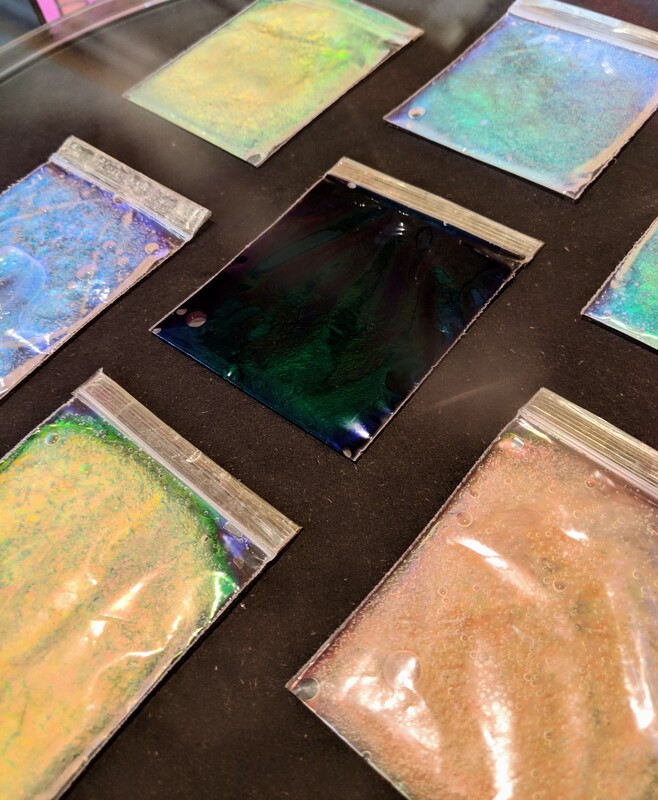 The future looks bright as we could all be painting our furniture, cars, and walls with iridescent bacteria. Designer Toni Packham’s cutlery is part of a series called “Mining the Anthropocene” that uses what she calls a plastiglomerate from her hometown of Brighton, UK. Plastic is used as a glue to keep such organic materials as driftwood, fishing nets, shells and sand together. 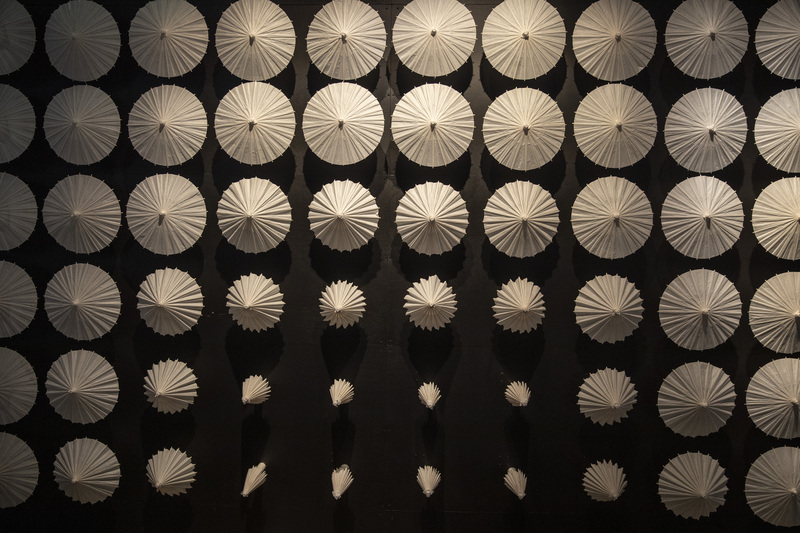 This digital installation of paper parasols by Shanghai-based multi-disciplinary creative WonderLabs celebrates change and movement and is meant to hypnotize the viewer.